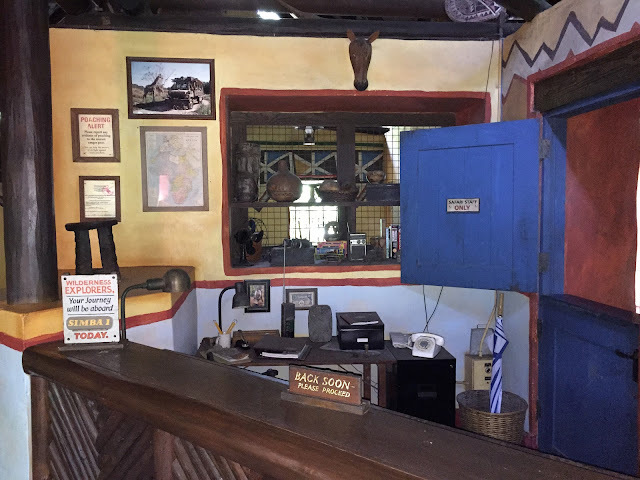 While spending yesterday afternoon at Animal Kingdom, I took the time to look at the details found in the Kilimanjaro Safaris standby queue. Like so many Disney attractions, there are some fun things to be found here. This "check in" desk is something that most guests just pass by. However, it is worth stopping to take a look.....and a listen. While I was there, the phone rang and there was an entertaining outgoing answering machine message that could be heard..